The RC1692HP-SIG module is a compact surface-mounted product that measures only 12.7 x 25.4 x 3.3 mm. The module contains a communication controller with embedded SIGFOX protocol software and is pre-certified for operation under FCC and Australia/New Zealand. Custom variants can be offered with custom functionalities. How to use the embedded SIG protocol is described in the RC16xxxx-SIG User Manual. 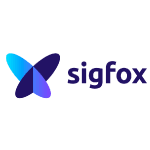 These modules are compliant with two SIGFOX domains and can operate in Zone 2 (US) or Zone 4 (South America, AU, NZ, etc.). It is possible to design a single product for both zones using the same module and you can select where the product will be deployed and program accordingly (or even switch in the filed). Note for Mac users: Radiocrafts provides RCTools which is a Windows based PC software and not compatible for Mac. The RCTools also includes Windows drivers for the USB level shifter of the dev kits. A dev kit user is recommended to use Windows PC.